NEW YORK (Reuters) - The U.S. aviation regulator took a step toward opening the skies to aerial drones on Monday, authorizing six sites where unmanned aircraft can be tested for a variety of uses. The Federal Aviation Administration already has approved limited use of drones in the U.S. for law enforcement, surveillance, atmospheric research and other applications. But Monday's move will give companies, universities and other entities locations at which to test much broader use, such as crop spraying, catching exotic-animal poachers or delivering packages. "It provides the platform for this research to be carried out on a very large scale across the country," Federal Aviation Administration Administrator Michael Huerta told reporters. The FAA said the test sites will be developed by the University of Alaska, the state of Nevada, Griffiss International Airport in New York state, the North Dakota Department of Commerce, Texas A&M University at Corpus Christi, and Virginia Polytechnic Institute and State University, which includes locations in New Jersey. 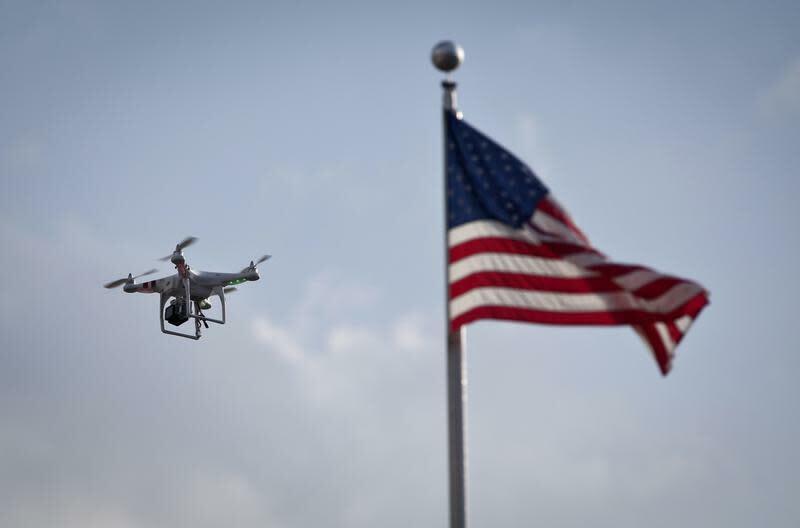 The FAA is required to write initial rules governing commercial operation of drones by 2015. The test sites will operate longer, allowing rules to evolve with further testing, Huerta said. Drones are smaller and less costly alternatives to manned aircraft, and are a growing business for aerospace companies such as Boeing Co, Northrop Grumman Corp, Lockheed Martin Corp and AeroVironment Inc. Beyond military capabilities, they also offer uses to businesses and researchers. Amazon.com Inc recently unveiled plans for drones to deliver small packages to homes. Global spending on unmanned aircraft will almost double to $11.6 billion a year by 2023, according to the latest estimate by aviation and aerospace industry research firm Teal Group. The Association for Unmanned Vehicle Systems International (AUVSI), an industry group, estimates the industry could contribute more than $80 billion to the U.S. economy over a decade and create more than 100,000 jobs. But the vehicles also have raised privacy and safety concerns, since they could be used for spying or could interfere with already crowded airspace. The FAA chose the six sites from 25 applications it received from 24 states. Huerta said the FAA would first address the use of drones in small civil applications and expected to issue a proposed rule in early 2014.